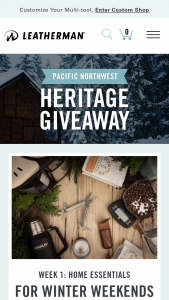 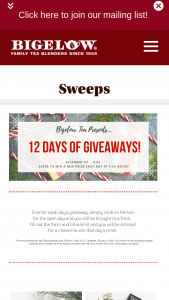 Bigelow Tea – 12 Days Of Giveaways – Win a “12 Days of Giveaways” prize each day December 1-12 2018. 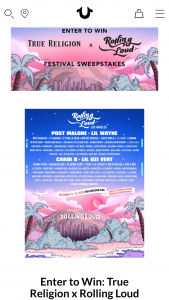 True Religion – Rolling Loud Los Angeles – Win one trip for two (winner and one guest) to the Rolling Loud Music Festival in Los Angeles California from December 13-16 2018. 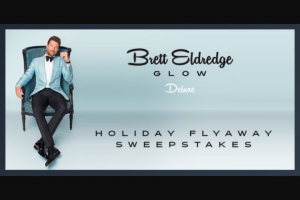 CMT After Midnite With Cody Alan – Brett Eldredge “glow” Holiday – Win day/two night trip for Winner and one guest to see Brett Eldredge perform in Nashville Tennessee on December 14 2018. 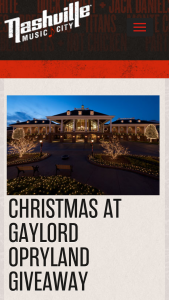 Nashville Convention & Visitors Corp – 2018 Christmas At Gaylord Opryland Giveaway – Win of Two Night Hotel Accommodations at Gaylord Opryland on December 21st and 22nd 2018. 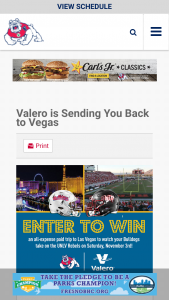 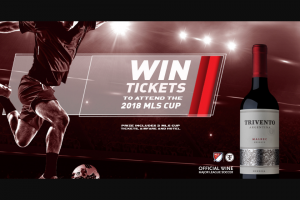 Trivento – Mls Cup – Win airline tickets to and from the airport nearest to the winner’s location (or reasonable equivalent selected in the Sponsor’s discretion) and two tickets to the MLS Cup on or about December 8 2018. 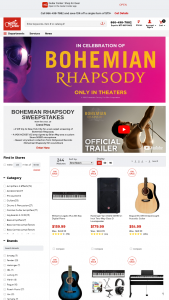 Guitar Center – Bohemian Rhapsody – Win for two (the Winner and one eligible Guest) to New York City for a private VIP screening of the movie “Bohemian Rhapsody” on October 30 2018. 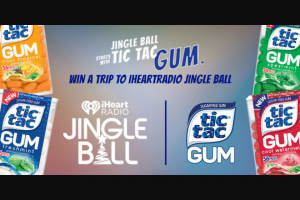 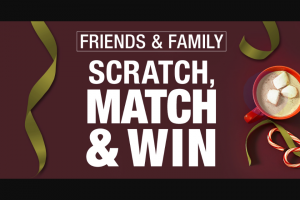 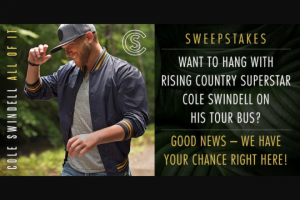 Premiere Networks CMT – Cole Swindell “all Of It” – Win day/two night trip for Winner and one guest to see Cole Swindell perform in New Orleans Louisiana on December 14 2018. 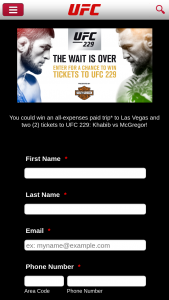 Ufc – 2018 Ufc/ Harley-Davidson Fight Tickets Giveaway – Win tickets to watch the UFC 229 Fight in Las Vegas NV on October 6 2018. 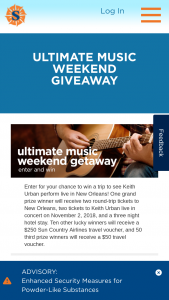 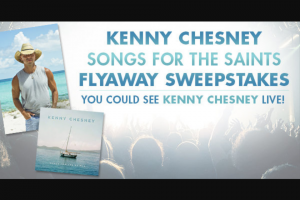 Premiere Networks – Kenny Chesney “songs For The Saints” Flyaway – Win day/two night trip for Winner and one guest to attend the Kenny Chesney concert in Columbia Maryland on August 22 2018. 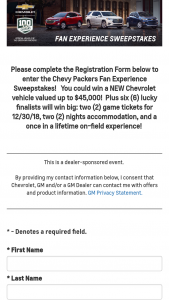 Lucas Oil – Lamp Out Vip Experience – Win Winner will to receive the Lucas Oil Camp Out VIP Experience Package which includes three day two night stay at the Lucas Oil Camp Out Series at Glen Helen Raceway on September 21 – 23 2018.